It is interesting how excited we have been about our first farm produce. (But it should be noted that we have harvested some Christmas trees and wild mushrooms from the land – see A surprise bonus). Yes, our girls have started laying eggs! 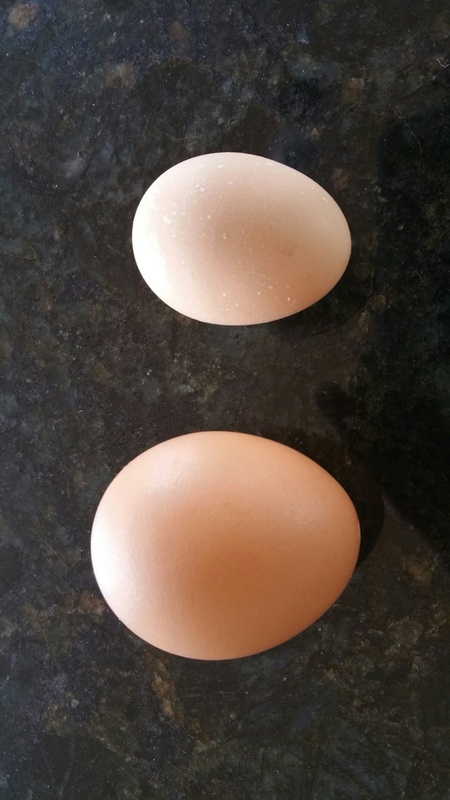 Small brown eggs – two of them in the past 24 hours. Those readers who have kept chickens know what a nice surprise it is to find the little nuggets in the nest boxes. It took nearly two weeks for them to mature enough and become comfortable enough in their new home before starting to lay. It turns out that the girls were only 17 weeks old when we picked them up (usual age is 19 weeks) so it is not too surprising that they took a little while. 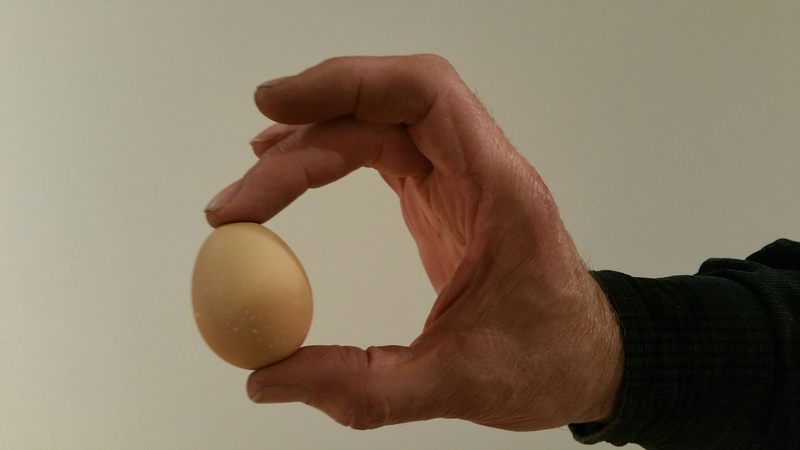 We understand that the eggs will be small for a while until the hens get a little older. It will probably take a while until we have enough eggs to start paying for their feed bill, but we are pleased with the start. The first egg discovered in one of the next boxes. Not exactly large but it is a start. 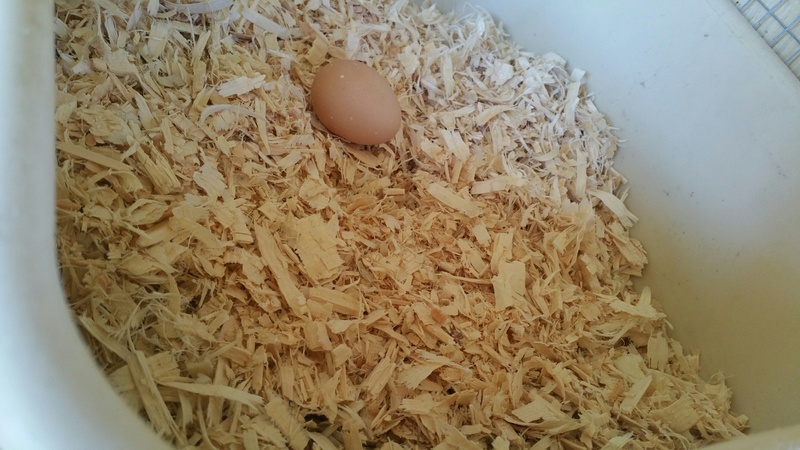 The eggs should become larger as the hens mature. Eggstreemly eggciting! Enjoying the posts about the girls! Spring is in the air! Congratulations on your first eggs. What kind of mushrooms did you find on your land? Karen, the mushroom was giant puffball (calvatia gigantea). The post “Surprise bonus” post (Sept 28) has pictures of it and a bit about our experience cooking and eating it. Oh sighhh….how I miss the farm days. I am kinda envious of you! !